In an era when ballplayers were known as hard living, hard drinking rouges, the college educated, fair haired and handsome Mathewson was the idol of millions. His articulate, dignified persona contrasted a fierce competitiveness on the mound that made him arguably, the most dominant pitcher of his time. 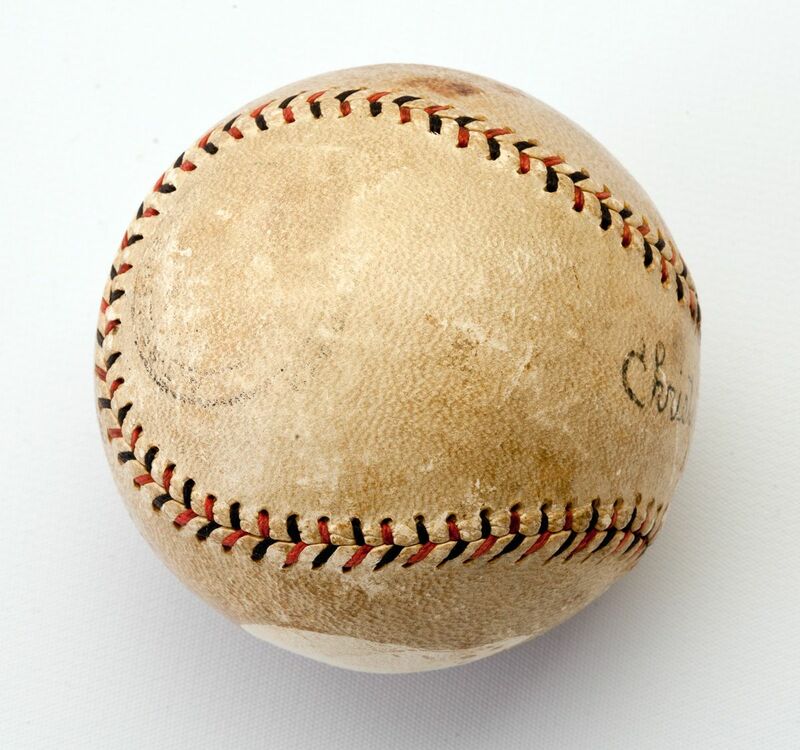 The pitching virtuosity he demonstrated for 18 summers were matched in degree only by an equally tragic demise in 1925, a direct result of courageous action in World War I. 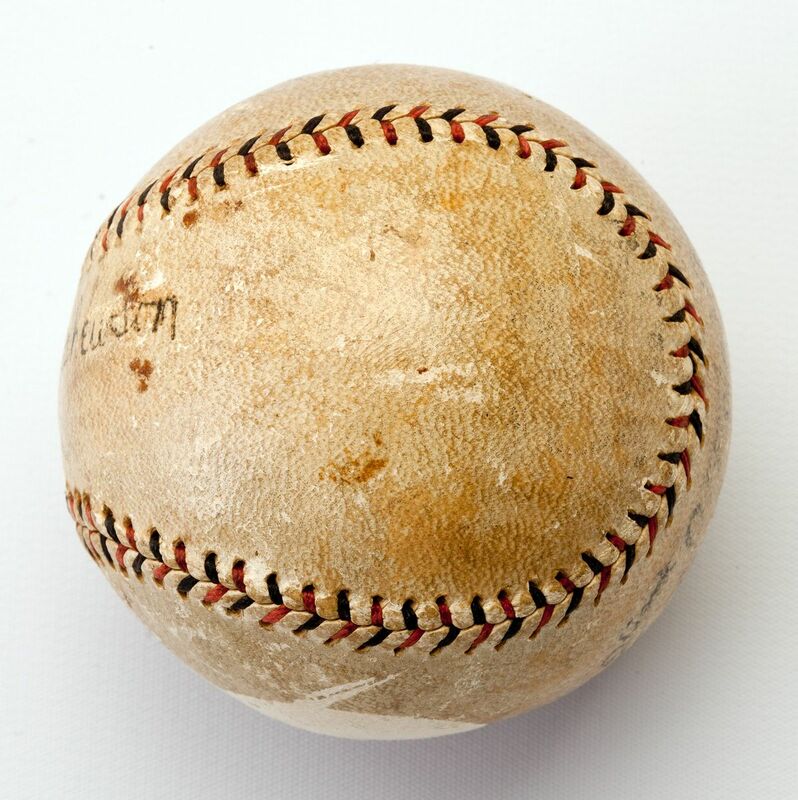 His greatest honor was bestowed upon him posthumously, in 1936, when he became an inaugural member of the Baseball Hall of Fame. 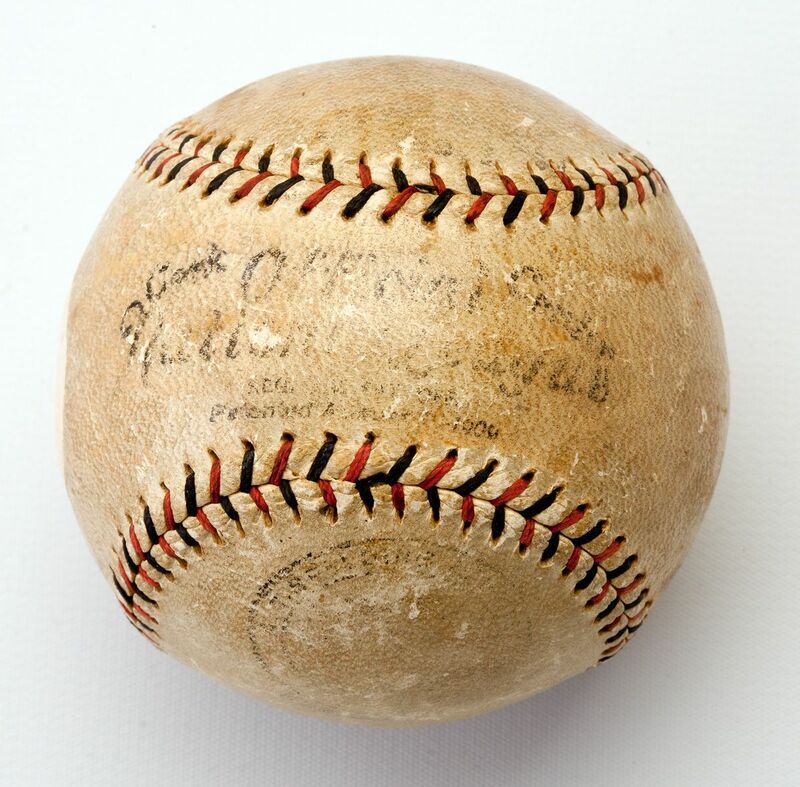 His premature death has left collectors with a limited sampling of baseballs bearing his autograph. 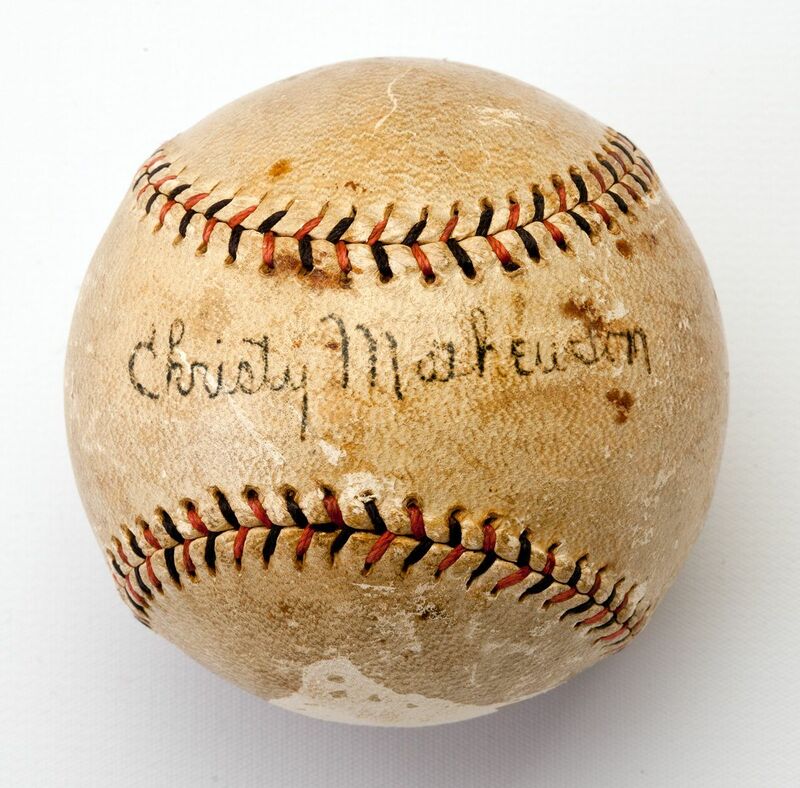 The offered example features Mathewson's signature on the sweet spot of an official NL (Heydler) ball. The rare penning projects at a strength of 7 out of 10. Moderate soiling and toning is evident throughout underneath a thin coat of vintage shellac with a few scattered spots of staining. 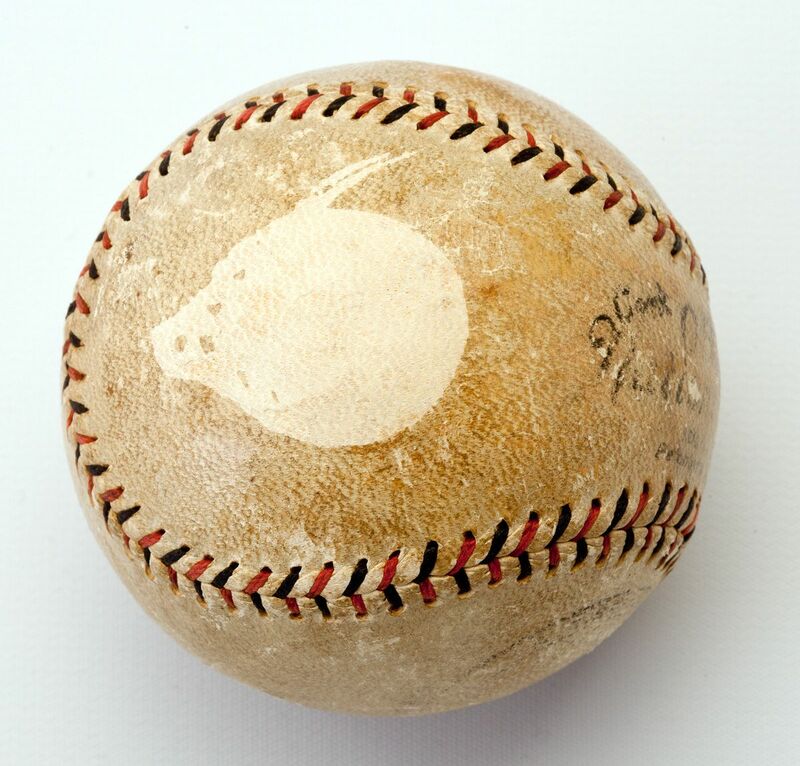 A nickel-sized circular area appears on the south panel where the surface of the leather appears skinned, likely the result of being formerly mounted with some type of adhesive. All things considered, this is a very presentable example of the toughest and most widely coveted singles from the inaugural class of Hall of Fame Inductees. Includes a full LOA from JSA. 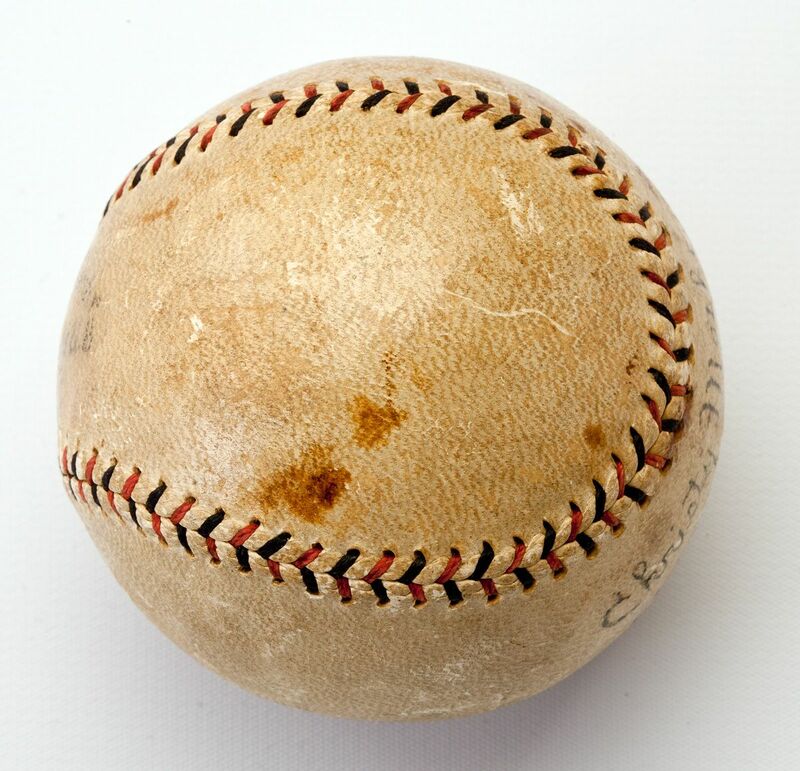 NOTE: This ball was submitted to PSA/DNA who rendered an opinion of Not Authentic.